C/No is the ratio of the carrier power to the noise power. No = k x T x 1 Hz bandwidth. 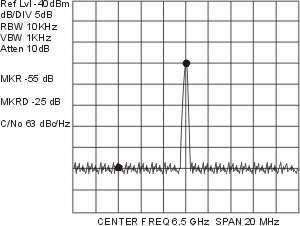 No is the noise power in a 1 Hz bandwidth. k is Boltzmann's constant = -228.6 dBW/K/Hz. C/No is sometimes referred to as the C/kT or just C/N. Next we look at Ground Station Engineering in Course 8.